A site, along Rarkang Rd, Silverton, leading into Talisker Conservation Park, was visited on December 29, 2012, January 2, 2014, January 16, 2015 and January 9, 2017. In the earlier years about 20 specimens of Dipodium pardalinum were found with 18 (plus 3 beheaded) in 2015. A small number of D. roseum was located in 2012, none in 2014, one in 2015 and none at all in 2017. In 2017 there was bumper crop of D. pardalinum and Ed Lowrey, Helen McKerral and I counted 124 flower spikes. This may represent only 122 plants because in two instances there were two spikes emerging from one tuber (see image). It is possible that other closely placed flowers were also growing from a single tuber. This same phenomenon was observed in two cases, with D. roseum, at Hender Reserve, Stirling, on January 12 this year. All spikes of D. pardalinum this year were found on the verges of Rarkang Road or nearby inside private property in small holdings, with houses, adjoining the road, apart from two spikes only, just inside the Talisker Conservation Park, where Rarkang Road heads into it. The genus Dipodium is much more varied than I realised. 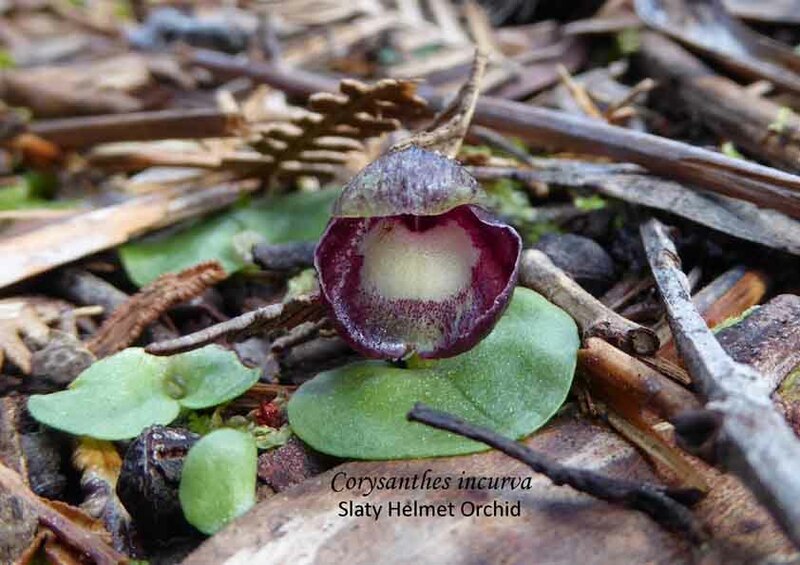 Our DVD, South Australia’s Native Orchids, only deals with the ‘leafless saprophytes, mycophytes or hemiparasites’. 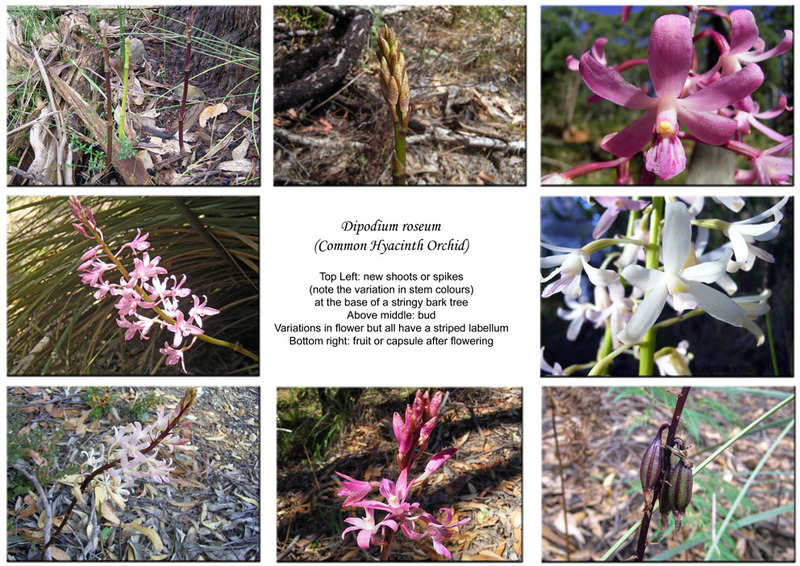 If you go to ‘Native Orchids of Australia’ (Jones, 2006), you will find that among the terrestrial species there are both leafless species (as with the local D. pardalinum and D. roseum), that are impossible to cultivate and one species with leaves (D. ensifolium), found from Cooktown to Ingham, in Qld. It is easy to grow in a pot. Bob Bates told me that it is grown here in Adelaide, preferring a heated glass house, but has been grown successfully in gardens. And then there is a leaved species, D. pandanum, of limited distribution in Qld, that can be either terrestrial or epiphytic, growing up to 5 m in length. Old pieces that break off and fall to the ground, nestle in the leaf litter and put out new shoots that eventually climb into the trees. It is easy to grow in a pot (in the right climate). Rarkang Rd, Silverton, Jan 9, 2017. Two spikes of Dipodium pardalinum emerging from one tuber. A clump of Dipodum pardalinum spikes with at least two emerging from one tuber; see photo above. 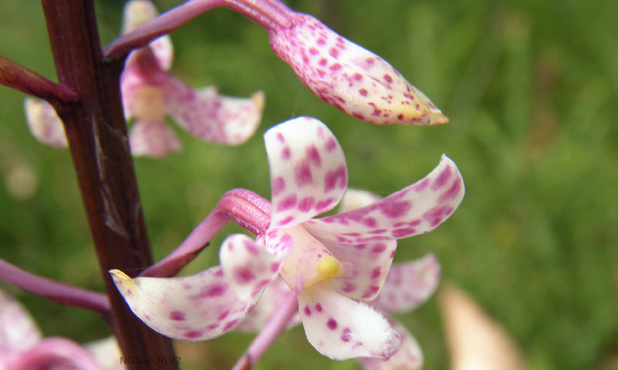 Dipodium pardalinum (labellum white with dark pink spots) growing intertwined with D. roseum, (labellum pale pink with dark pink stripes). Rarkang Rd, Silverton, Dec 29, 2012. 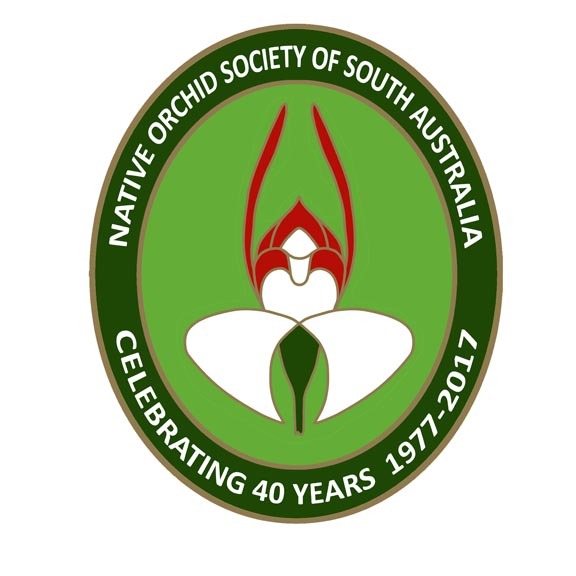 Does South Australia Have a Christmas Orchid? 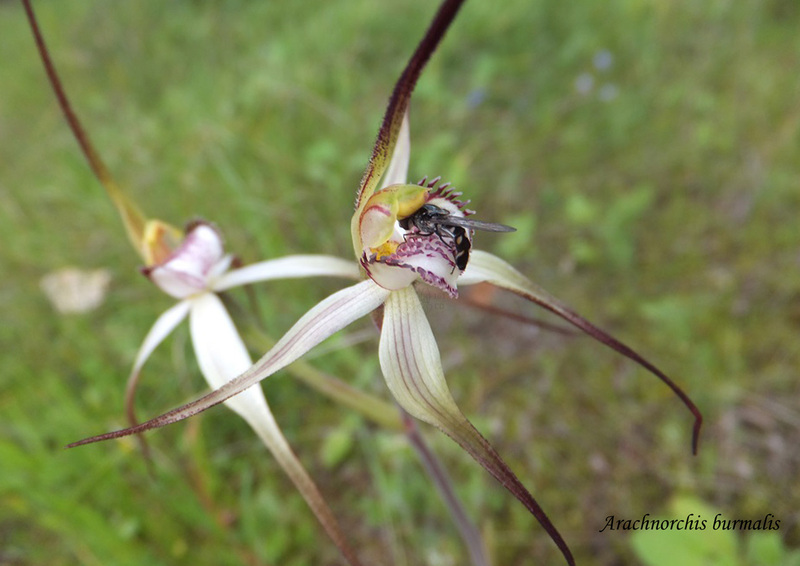 Western Australia has the Christmas Spider Orchid (Caladenia serotina) and the Christmas Leek Orchid (Prasophyllum brownie) whilst in the rainforest of the eastern seaboard is the Christmas Orchid (Calanthe triplicata). All four are in flower now – D. campanulatum and D. punctatum in the South East and D. roseum and D. pardalinum in the Southern Lofty Ranges. finished flowering in early December but has been seen in flower soon after Christmas Day. So does South Australia have a Christmas Orchid? Until 1991, D. roseum was included under D. punctatum and the common name according to Bates and Weber 1990 was Christmas Orchid. It seems a pity that when the split was made that neither species retained the common name but nevertheless as they both flower at Christmas, we do have a Christmas Orchid or two!